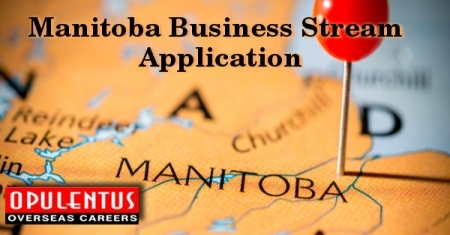 On September 1st, 27 Letters of Advice, to Apply have been dispatched, by the Government of Manitoba, under the Manitoba Business Stream which forms a dynamic part of the Provincial Nominee Program. These Candidates, by their performance, had secured their place by scoring between 90-100 points in the points-grid. 17 Candidates had secured a score of 90 points, and ten were placed between 91 -100 points. This Program grants permission to Manitoba to go for the recruitment of people who possess the necessary qualification and enjoy a reputation among the business community. They must have the desire, the capacity and the ability to reside in the province. They must invest in a new/existing business and should be prepared to make a significant contribution by holding a managerial role. This is required mainly for the business to grow and also to meet the business expectations. The Provincial Nominee Program of Manitoba is designed to promote the economic growth of the province in a big way. It aims to retain successful business owners and provide them the required opportunities. They must be true professionals possessing rich experience at the executive level. The applicants must register under the Expression of Interest system. They must also submit their intention to apply to the program and create their online profile on the website of the program. Afterwards, these profiles are placed into the Expression of Interest pool and based on the specific parameters given a score. These include age, and experience, business knowledge and language ability, net worth, as well as the connection with Manitoba. The high ranking candidates are subsequently invited to apply by receiving a Letters of Advice to Apply from the Provincial Nominee Program of Manitoba. These candidates need to submit their completed application in a period of 60 days only. After the last draw, of late July, covering the same period, the applications received were 47. These also covered the applicants under the Farm Strategic Recruitment Initiative. This covers applicants who must live in the in rural farming areas of Manitoba and manage the day to day farming operations.